Healthcare Technology Corporation has partnered with the Mayo Clinic on numerous projects. We have provided well over 100 mounting solutions for the Mayo Clinic in Minnesota. 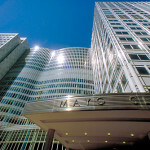 The Mayo Clinic recently renovated the dermatology department in the Gonda 16 building. The project required an array of mounting solutions and Healthcare Technology Corporation was contracted by Weis Builders to supply the 67 mounts needed for the new Steris exam and surgical lights. Healthcare Technology Corporation worked with HGA Architects and Weis Builders to specify and supply our series 100 and 200 configurations at the required locations within the structural building grid. 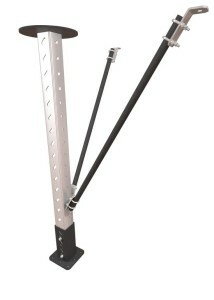 The mounts were supplied with our standard composite deck attachment hangers. Installation was performed by Weis Builders utilizing Healthcare Technology Corporation’s drawings and install instructions. As with all of our mounting solutions, field welding and fabrication were not required which allowed for a very fast install.